Schweppes (/ʃwɛps/) is a Swiss beverage brand that is sold around the world. It includes a variety of lemonade, carbonated waters and ginger ales. In the late eighteenth century, Johann Jacob Schweppe developed a process to manufacture carbonated mineral water based on the discoveries of Joseph Priestley. 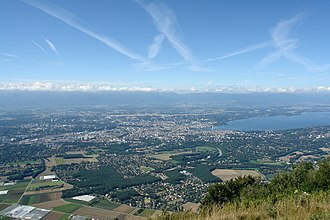 Schweppe founded the Schweppes Company in Geneva in 1783 to sell carbonated water. 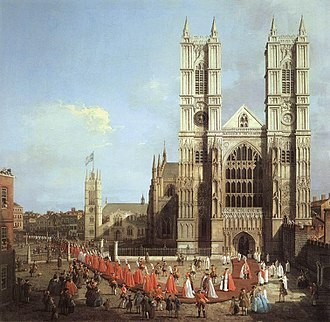 In 1792, he moved to London to develop the business there. In 1843, Schweppes commercialised Malvern Water at the Holywell Spring in the Malvern Hills, which was to become a favourite of the British Royal Family until parent company Coca-Cola closed the historic plant in 2010 to local outcry. In 1969, the Schweppes Company merged with Cadbury to become Cadbury Schweppes. After acquiring many other brands in the ensuing years, the company was split in 2008, with its US beverage unit becoming Keurig Dr Pepper and separated from its global confectionery business (now part of Mondelez International). Keurig Dr Pepper is the current owner of the Schweppes trademark. Mainstay Schweppes products include ginger ale (1870), bitter lemon (1957), and tonic water (the first carbonated tonic – 1871). During the 1920s and 1930s, the artist William Barribal created a range of posters for Schweppes. In 1945, the advertising agency S.T.Garland Advertising Service Ltd., London coined the word 'Schweppervescence' which was first used the following year. Thereafter it was used extensively in advertisements produced by Garlands who sold copyright of this word to the Schweppes Company for £150 five years later when they relinquished the account. 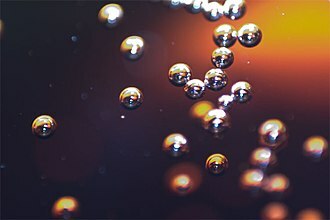 An ad campaign in the 1950s and 1960s featured a real-life veteran British naval officer named Commander Whitehead, who described the product's bubbly flavour (effervescence) as evanescence. Comedian Benny Hill also appeared in a series of Schweppes TV commercials in the 1960s. Another campaign made use of onomatopoeia in their commercials: "Schhh… You know who." after the sound of the gas escaping as one opens the bottle. 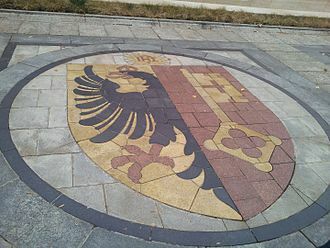 ^ Morgenthaler, Jeffrey (2014). Bar Book: Elements of Cocktail Technique. Chronicle Books. p. 54. ^ "Coca-Cola pulls plug on Malvern, the Queen's favourite mineral water". Retrieved 17 May 2017. ^ "Cadbury plc Demerger" (Press release). Cadbury plc. 7 May 2008. Retrieved 29 December 2009. ^ "Ginger Ale | Schweppes". Retrieved 28 February 2018. ^ "Schweppes Bitter Lemon". Retrieved 9 November 2010. ^ "Premium Mixers | Schweppes". ^ Simmons, Douglas A. (1983). Schweppes® The First 200 Years. London: Springwood Books. ISBN 0-86254-104-2. ^ "Advertising Mascots > Commander Whitehead (Schweppes Tonic Water)". Tv Acres. Retrieved 10 July 2010. ^ "Schweppes Tonic Water TV Advert by O & M". Youtube. Retrieved 7 March 2013. ^ "Schweppes- Für die Macher von heuter". Youtube. Retrieved 2 September 2015. 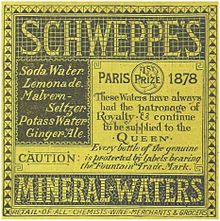 Wikimedia Commons has media related to Schweppes. Sunkist is a brand of primarily orange flavored soft drinks launched in 1979. Sunkist was first licensed by Sunkist Growers to the General Cinema Corporation, the soft drink was the idea of Mark Stevens, who foresaw the potential based on market research which indicated that, orange was the third best selling soft drink flavor. 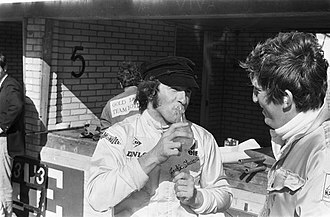 It went national soon thereafter by being franchised mainly to leading Coca-Cola and Pepsi-Cola bottlers, the advertising slogan was fun and the beach using TV and radio commercials with the Beach Boys hit song Good Vibrations as the brands theme. In 1980, Sunkist Orange Soda became the #1 orange soda in the USA, unlike many other competing orange sodas, Sunkist contains caffeine. In late 1984, Sunkist Soft Drinks was sold to Del Monte, from late 1986 until 2008, it was produced by Cadbury Schweppes under license through its Cadbury Schweppes Americas Beverages subsidiary. Following the demerger of Cadbury Schweppes Americas Beverages from Cadbury Schweppes, Sunkist is still the most popular orange soda in the United States. Tonic water is a carbonated soft drink in which quinine is dissolved. Originally used as a prophylactic against malaria, tonic water usually now has a significantly lower quinine content and is consumed for its distinctive bitter flavour and it is often used in mixed drinks, particularly in gin and tonic. The drink gained its name from the effects of its bitter flavouring, the quinine was added to the drink as a prophylactic against malaria, since it was originally intended for consumption in tropical areas of South Asia and Africa, where the disease is endemic. Quinine powder was so bitter that British officials stationed in early 19th Century India and other tropical posts began mixing the powder with soda and sugar, the first commercial tonic water was produced in 1858. The mixed drink gin and tonic originated in British colonial India, since 2010, at least four tonic syrups have been released in the United States. 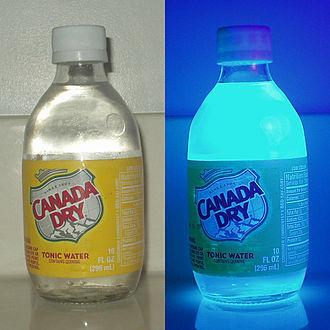 Consumers add carbonated water to the syrup to make tonic water, medicinal tonic water originally contained only carbonated water and a large amount of quinine. He is usually credited with the discovery of oxygen, having isolated it in its gaseous state, although Carl Wilhelm Scheele and Antoine Lavoisier have a claim to the discovery. However, Priestleys determination to defend phlogiston theory and to reject what would become the chemical revolution eventually left him isolated within the scientific community, Priestleys science was integral to his theology, and he consistently tried to fuse Enlightenment rationalism with Christian theism. In his metaphysical texts, Priestley attempted to combine theism and determinism and he believed that a proper understanding of the natural world would promote human progress and eventually bring about the Christian Millennium. Priestley, who believed in the free and open exchange of ideas, advocated toleration and equal rights for religious Dissenters. He spent his last ten years in Northumberland County and these educational writings were among Priestleys most popular works. Priestley was born to an established English Dissenting family in Birstall and he was the oldest of six children born to Mary Swift and Jonas Priestley, a finisher of cloth. To ease his mothers burdens, Priestley was sent to live with his grandfather around the age of one and he returned home, five years later, after his mother died. When his father remarried in 1741, Priestley went to live with his aunt and uncle, during his youth, Priestley attended local schools where he learned Greek and Hebrew. Around 1749, Priestley became seriously ill and believed he was dying, raised as a devout Calvinist, he believed a conversion experience was necessary for salvation, but doubted he had had one. This emotional distress eventually led him to question his upbringing, causing him to reject election. As a result, the elders of his church, the Independent Upper Chapel of Heckmondwike. Priestleys illness left him with a permanent stutter and he gave up any thoughts of entering the ministry at that time, in preparation for joining a relative in trade in Lisbon, he studied French and German in addition to Aramaic, and Arabic. Priestley eventually decided to return to his studies and, in 1752, matriculated at Daventry. Orangina is a lightly carbonated beverage made from water and 12% citrus pulp. Orangina was invented at a fair in France, developed by Dr. Augustin Trigo Mirallès from Spain. 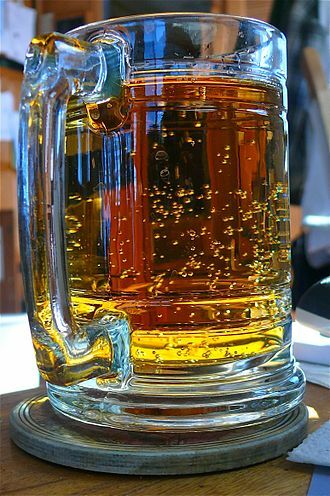 Today it is a beverage in Europe, northern Africa. Since November 2009, Orangina has been owned by Suntory in most of the world, in the United States, the brand has been owned by the Dr Pepper Snapple Group since 2006. In Canada, the brand is owned by Canada Dry Motts Inc, drunk annually by 500 million consumers worldwide, the famous little round bottle was created in 1930 in Boufarik, in the south of Algiers. Production remained there until 1967, when it relocated to Marseille, the famous soda is now known in several countries due to its special taste and its original advertising campaign especially the famous slogan « Shake Me. » Orangina started as Naranjina, presented at the 1935 Marseille Trade Fair by its Spanish inventor, chemist Dr. Trigo, from Valencia, the drink was created from a mix of citrus juice and carbonated water. It was called TriNaranjus for the Spanish market, Léon Beton bought the concept and recipe for Naranjina in 1935. However, the outbreak of conflicts, notably World War II. His son, Jean-Claude Beton, took over the company from his father in 1947, Jean-Claude Beton kept most of the original recipe, which he marketed to appeal in European and North African consumers. Orangina quickly became a common beverage throughout French North Africa, in 1951, Jean-Claude Beton introduced Oranginas iconic signature 8-ounce bottle, which became a symbol of the brand. The bottle is shaped like an orange, with a texture designed to mimic the fruit. Production was moved to the city of Marseille in metropolitan France in 1962 in the run-up to Algerias independence, Orangina was first launched in the United States in 1978 under the brand name, which was reverted to Orangina. The company, created by Beton, joined the Pernod Ricard group in 1984, in 2000, the Orangina brand was acquired by Cadbury Schweppes along with Pernod Ricards other soda businesses, after an attempt to sell to Coca-Cola was blocked on anti-competitive grounds. Lemonade is the name for a number of sweetened beverages found around the world, all characterized by lemon flavor. Most lemonade varieties can be separated into two types and clear, each is known simply as lemonade in countries where dominant. Cloudy lemonade, generally found in North America and India, is a traditionally homemade drink made with lemon juice, found in the United Kingdom, South Africa and New Zealand, clear lemonade is a lemon flavoured carbonated soft drink. Not to be confused with Sprite a lemon-lime flavored, soft drink, a popular cloudy variation is pink lemonade, made with added fruit flavors such as raspberry or strawberry among others, giving a distinctive pink color. The -ade suffix may be applied to other similar drinks made with different fruits, such as limeade, alcoholic varieties are known as hard lemonade. In many European countries, the French word limonade has come to mean soft drink, as lemons and sugarcane are native to India, it is safe to assume the Indians first consumed a type of lemonade called nimbu pani, meaning lemon water, literally. The earliest written evidence of lemonade has been found in Egypt, dated to around AD1000, here, a wine made with lemons and honey was enjoyed by peasants, and bottles of lemon juice with sugar, known as qatarmizat were imported and consumed locally. 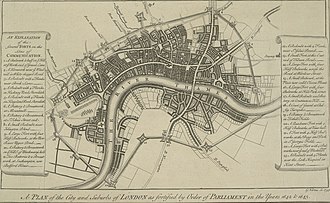 In 1676, a known as Compagnie de Limonadiers was founded in Paris. Having been granted rights to sell lemonade, vendors roamed the streets serving the drink in cups from tanks on their backs. The first reference found to a carbonated lemonade was in 1833, generally served cold, cloudy lemonade may be served hot as a remedy for congestion and sore throats, frozen, or used as a mixer. Traditionally, it is common for children in US and Canadian neighborhoods to start lemonade stands to make money during the summer months, the concept has become iconic of youthful summertime Americana to the degree that parodies and variations on the concept exist across media. References can be found in comics and cartoons such as Peanuts, the subject has attracted controversy as some unlicensed lemonade stands have been shut down due to health regulations. A popular variation of lemonade, pink lemonade is created by adding additional fruit juices, flavors. Canada Dry is a brand of soft drinks owned since 2008 by the Texas-based Dr Pepper Snapple Group. For over a century, Canada Dry has been known for its ale, though the company manufactures a number of other soft drinks. Although Canada Dry originated in Canada, it is now produced in countries around the globe, including the United States, Colombia. The Dry in the name refers to not being sweet. In 1890, Canadian pharmacist and chemist John J. McLaughlin of Enniskillen, after working in a factory in Brooklyn, New York. McLaughlin was the oldest son of Robert McLaughlin, founder of McLaughlin Carriage, when McLaughlin began shipping his product to New York in 1919, it became so popular that he opened a plant in Manhattan shortly thereafter. 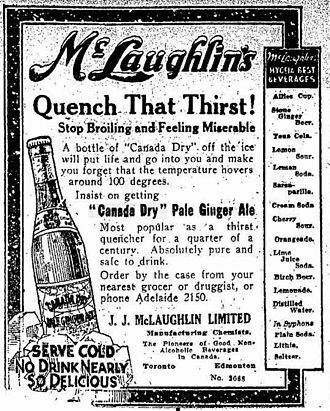 After McLaughlins death, the company was run briefly by Sam, P. D. Saylor and Associates who bought the business from the McLaughlin family in 1923 and formed Canada Dry Ginger Ale, Inc. a public company. 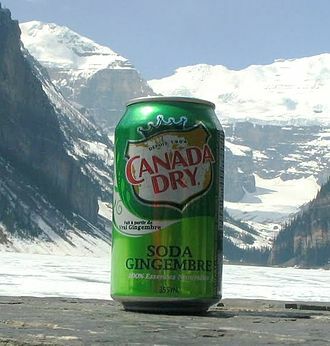 Canada Drys popularity as a mixer began during Prohibition, when its flavor helped mask the taste of homemade liquor, in the 1930s, Canada Dry expanded worldwide. 7 Up is a brand of lemon-lime flavored, non-caffeinated soft drink. The rights to the brand are held by Dr Pepper Snapple Group in the United States, and PepsiCo in the rest of the world. The U. S. version of the 7 Up logo includes a red cherry between the 7 and Up, this red cherry has been animated and used as a mascot for the brand as Cool Spot. 7 Up was created by Charles Leiper Grigg, who launched his St. Louis–based company The Howdy Corporation in 1920, Grigg came up with the formula for a lemon-lime soft drink in 1929. The product, originally named Bib-Label Lithiated Lemon-Lime Soda, was launched two weeks before the Wall Street Crash of 1929 and it contained lithium citrate, a mood-stabilizing drug, until 1948. It was one of a number of patent medicine products popular in the late-19th and early-20th centuries and its name was shortened to 7 Up Lithiated Lemon Soda before being further shortened to just 7 Up by 1936. Westinghouse bought 7 Up in 1969 and sold it in 1978 to Philip Morris,7 Up merged with Dr Pepper in 1988, Cadbury Schweppes bought the combined company in 1995. The Dr Pepper Snapple Group was spun off from Cadbury Schweppes in 2008,7 Up has been reformulated several times since its launch in 1929. In 2006, the version of the product sold in the U. S. was re-formulated so that it could be marketed as being 100% natural. This was achieved by eliminating the chelating-agent calcium disodium EDTA, and this re-formulation contains no fruit juice and, in the U. S. is sweetened with high-fructose corn syrup. The manufacturing process used in the production of HFCS has led some public health, in 2007, after the Center for Science in the Public Interest threatened to sue 7 Up, it was announced that 7 Up would stop being marketed as 100% natural. Instead, it is now promoted as having 100% Natural Flavors, the controversy does not extend to other countries, such as the United Kingdom, where HFCS is not generally used in foods, including 7 Up. In 2011,7 Up began test-marketing a formula, called 7 Up Retro, container labels sport the caption, Made With Real Sugar. An onomatopoeia is a word that phonetically imitates, resembles or suggests the sound that it describes. As an uncountable noun, onomatopoeia refers to the property of such words, common occurrences of onomatopoeias include animal noises such as oink, roar or chirp. Although in the English language, the term means the imitation of a sound. For words that imitate sounds, the term Ηχομιμητικό is used, Ηχομιμητικό derives from Ηχώ, meaning echo or sound, and μιμητικό, meaning mimetic or imitation. Some other very common English-language examples include hiccup, bang, moo and their sounds are often described with onomatopoeia, as in honk or beep-beep for the horn of an automobile, and vroom or brum for the engine. When someone speaks of an involving a audible arcing of electricity. Human sounds sometimes provide instances of onomatopoeia, as when mwah is used to represent a kiss, for animal sounds, words like quack, bark or woof, meow/miaow or purr and baa are typically used in English. Some of these words are used both as nouns and as verbs, some languages flexibly integrate onomatopoeic words into their structure. This may evolve into a new word, up to the point that it is no longer recognized as onomatopoeia, verba dicendi are a method of integrating onomatopoeia and ideophones into grammar. Sometimes things are named from the sounds they make, in English, for example, there is the universal fastener which is named for the onomatopoeic of the sound it makes, the zip or zipper. In Tamil and Malayalam, the word for crow is kaakaa and this practice is especially common in certain languages such as Māori and, therefore, in names of animals borrowed from these languages. Although a particular sound is heard similarly by people of different cultures, for example, the snip of a pair of scissors is cri-cri in Italian, riqui-riqui in Spanish, terre-terre or treque-treque in Portuguese, krits-krits in modern Greek and katr-katr in Hindi. Similarly, the honk of a horn is ba-ba in Mandarin, tut-tut in French, pu-pu in Japanese, bbang-bbang in Korean, bært-bært in Norwegian, fom-fom in Portuguese. 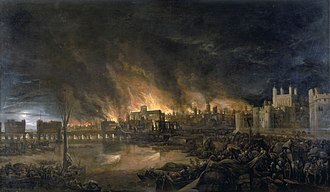 Onomatopoeic effect can be produced in a phrase or word string with the help of alliteration and consonance alone, the most famous example is the phrase furrow followed free in Samuel Taylor Coleridges The Rime of the Ancient Mariner. A jug of bottler's flavor for 7 Up: The syrup-like concentrate lacks sugar and is sold to franchisees to refill. St. Ann's Well, Malvern, a popular café for walkers on the hills. The building on the right houses the spout from which the water surges into a basin. Charles Darwin stayed in Malvern. He hoped that the water would improve his daughter's health. Schweppes Bitter Lemon. Vintage bottle shown. 19th Century American Trade Card for Hires Root Beer, 1894.